Justin oversees the day to day clinical operations for all Jaguar facilities. Justin joined the Jaguar Therapeutics team in 2013, with the opening of our Coconut Grove facility, and has been instrumental in the overall development of the company. As a licensed Physical Therapist Assistant, Justin has treated and help amateur and professional athletes return to their sport with confidence and ease. He has experienced working with professional athletes ranging from the NBA, NFL, MLB, race car drivers, pro and collegiate tennis, collegiate, and Olympic athletes. Justin’s experience is diverse, and started even before he earned his degrees. Justin’s exposure to high level athletics began at a young age due to his father Pete’s role as a collegiate basketball coach with over twenty-five years of experience. Justin would spend endless hours with his father’s players at practice, and in the weight room and in the training room. With a passion for physical therapy in the context of athletics, Justin went on to work on two challenging clinical rotations in a variety of healthcare settings, where he gained experience with both inpatient and outpatient care and a vast array of therapeutic techniques. After graduation, Justin worked St. Catherine’s Rehabilitation Hospital, where he treated a unique set of patients with the main focus being total knee and hip replacements (both anterior and posterior approach), neurological disorders, and Parkinson’s. With an impressive resume of management experience, Justin has the professional skill set to keep operations running smoothly, with an unmatched dedication to patient care. 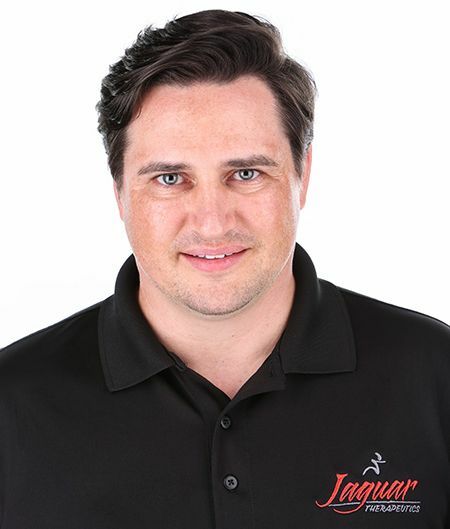 In addition to his role at Jaguar, Justin is a member of the Keiser University advisory board, for the physical therapy assistant program and belongs to the American Physical Therapy Association. Justin is a transplant from Alaska, who has also lived in Minnesota, and Kansas. In 2006, Justin earned his Bachelor of Science in Kinesiology from Kansas State University, and made the decision to make Miami home. In 2009, Justin went on to earn his Associate of Science in Physical Therapist Assistant from Keiser University. Justin is a member of APTA and an APTA Credentialed Clinical Instructor. Currently living local in Coconut Grove with his wife Carol, when Justin is not at the clinic he can be found fishing, diving, and spending time with his family.